Low-code application development company Appian has conducted its Future of Work survey through IDG. Companies often conduct surveys when they have no solid product news. Companies often conduct surveys with a contrived set of questions designed to skew results in their favour. Companies often conduct surveys with ‘independent’ technology analyst houses that they have content/analysis contracts with. So then, sceptical naysaying aside, what has Appian uncovered? The firm says that an average EMEA enterprise generates [approximately] 230 internal requests for new business software applications and major feature enhancements every year. In Germany that figure is as high as 306, in France it’s 263, and in the U.K. it’s 137 — the European average is well above the U.S. figure of 153 requests. Despite this disparity, Appian says that global success rates are all ‘equally dismal’. “Across all surveyed geographies, 50% of all new app development requests end in the failure. They are either not delivered at all, or are delivered without meeting the business need,” notes an Appian press statement. Could this research be leading us towards a suggestion that low-code platforms with their componentised efficiencies and automated pre-aligned controls are a better way of building enterprise apps? Yes indeed, Appian has said that enterprise low-code development platforms accelerate application creation with ‘robust but easy-to-use’ drag-and-drop visual design tools. In fairness (sarcasm aside just for a moment) Appian’s tooling does offer a route to application builds that are connected and governed, so there is a certain amount of built-in future-proofing there. 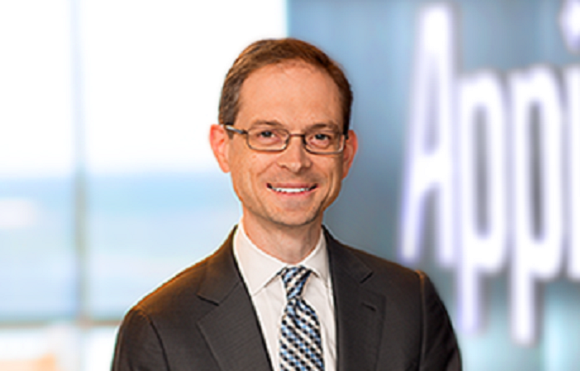 “Software is defining the future of how work gets done and all companies must accelerate IT delivery of new applications without sacrificing quality or accumulating more technical debt,” said Appian CEO Matt Calkins. The Future of Work survey, conducted by IDG, gathered responses between August and September 2018. Respondents comprised of 500 IT leaders (50% C-level, all director or above) with at companies with over 1,000 employees. Yes, we have a lot of software failures. Yes, low-code can help. Yes, automation and visual design plays a key role in the future of software. No, low-code is a not a cure-all. No, low-code is not no-code, it’s still quite complex in terms of engineering and application functionality flow. No, technology surveys are not getting that much better. Yes, we’ve been cynically sarcastically acerbically cruel — sorry. Is the information provided on transmission rates referring without encryption? Do you have transfer rates estimated times with encryption?